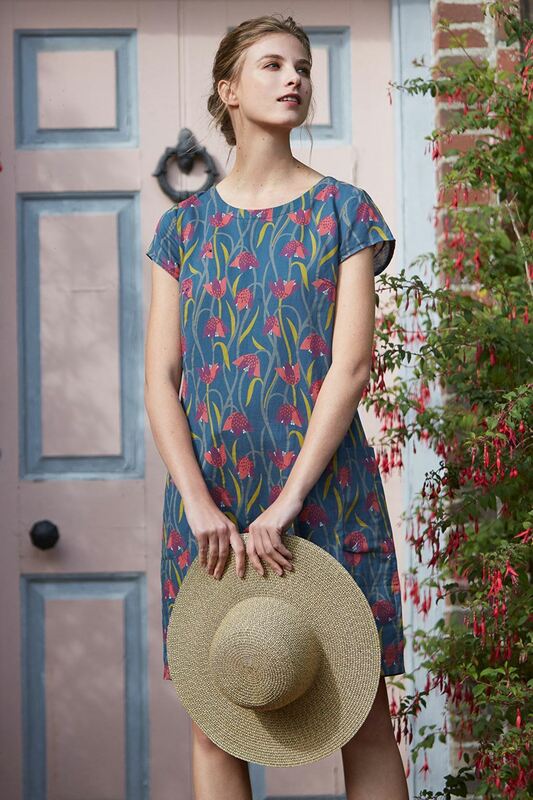 The simple style of Seasalt's River Cove Dress makes the most of the statement print. Made from a cool, breathable cotton blend, this knee-length shift dress is fully lined so it hangs beautifully. It's finished with a scoop neck, cap sleeves, a concealed side zip and wrap-around patch pockets. Easy to dress up or down, this versatile dress is a favourites this season.